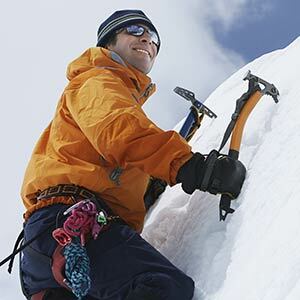 Contrary to popular belief, climbing gear doesn't last forever. For instance, I recently received a #2 Camalot in the mail that was manufactured in 2002. The thing was destroyed—it looked like it had been up El Cap 300 times. The customer wanted a new one because it was worn out. 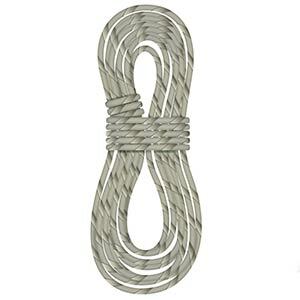 News flash: climbing gear doesn't last forever. 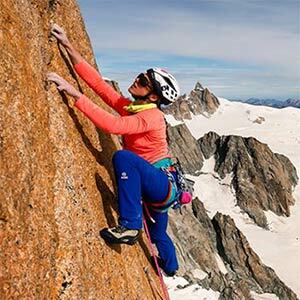 The documentary tracing the efforts of French climber Caroline Ciavaldini to make the first female free ascent of Voie Petit (8b, 450m), the difficult multi-pitch climb up Grand Capucin in the Mont Blanc massif. It goes without saying that if you come from Réunion Island in the Indian Ocean, climbing a route at altitude, i.e. above 3000m in the Mont Blanc massif, if obviously an ambitious project. But in 2015 it is exactly this that Caroline Ciavaldini decided to do. On 16/11/2016 Marcel Schenk and Simon Gietl made the first ascent of 'Amore di Vetro' (800m, M5, R) a new ice and mixed climb up the NE Face of Pizzo Badile. 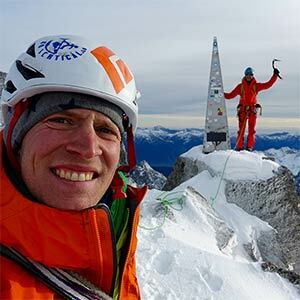 The cold season has begun with a remarkable ascent at the hands of Switzerland’s Marcel Schenk and South Tyrol’s Simon Gietl won on Wednesday 16 November forged a new winter climb up one of the six great north faces of the Alps, Pizzo Badile. Discover more of this amazing adventure! Video footage of the attempt to climb the Southeast Ridge of Annapurna III (7555m), carried out last spring by David Lama, Hansjörg Auer and Alex Blümel. 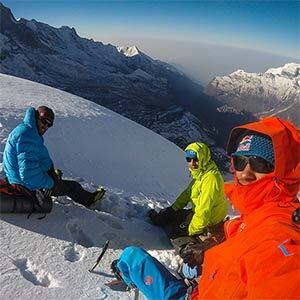 In spring 2016 Austrian alpinists Hansjörg Auer, Alex Blümel and David Lama travelled to Nepal to attempt one of the greatest unsolved puzzles in the Himalaya: the SE Ridge of Annapurna III. This 2300m line had been attempted for the first time in distant 1981 by the British mountaineers Nick Colton and Tim Leach. 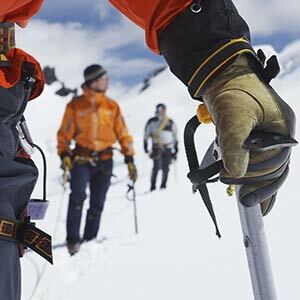 Ice climbing requires all kinds of different equipment. 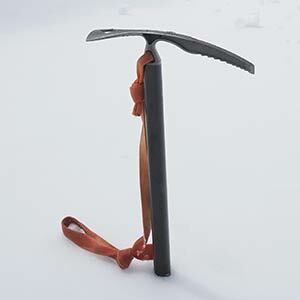 Nowadays we have specialized ice climbing gear. 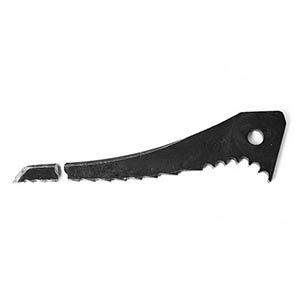 A traditional ice tool includes a leash that you wrap around your hand to help you keep hold of the tool. It is much easier to switch and change your ice tools when you are not tied to your gear all the time.